The U.S.-backed Saudi war on Yemen has unleashed the largest humanitarian catastrophe in the world, leading to the deaths of well over 100,000 children from hunger and disease since the war began in March 2015. And in response to widespread outrage over the war in Yemen, along with Saudi Arabia’s killing of Jamal Khashoggi in October of this year, some top U.S. officials, including Secretary of State Mike Pompeo and Defense Secretary Jim Mattis, claim they wanted a ceasefire to end the war in Yemen within 30 days. But it has been 30 days since they made these statements, and their actions now show otherwise. 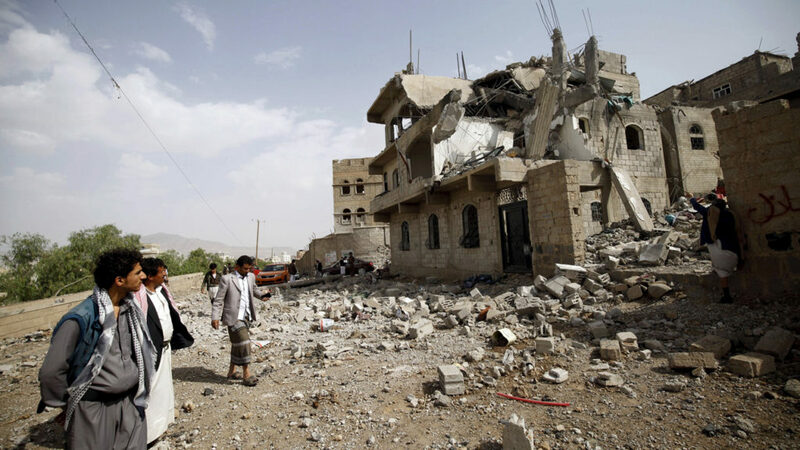 In late November, the United Kingdom drafted a United Nations Security Council resolution to try to bring about a ceasefire in Yemen, and the U.S. responded by killing that resolution. The British resolution would have led to an end to the fighting for the port city of Hodeidah, which is Yemen’s lifeline, in which more than three quarters of aid comes into the country. But the United States mission opposed the resolution, and said that it should instead be delayed. And while the Trump administration has been working to delay the U.N. Security Council ceasefire resolution, the U.S. Congress has been moving to take action against the Trump administration. On November 28, the Senate voted in a historic decision to advance war powers legislation that would force the U.S. to withdraw its military forces from the unauthorized war in Yemen. This bill has not passed yet, but the Senate did pass in an overwhelming margin to debate this legislation. That was the first time Yemen-related legislation has passed in a vote. And just before the vote, the U.S. Secretary of State Mike Pompeo, who claimed that he supposedly wants a ceasefire in Yemen, tried to convince the Senate otherwise. He wrote an editorial in the Wall Street Journal arguing the U.S. must keep supporting its alliance with Saudi Arabia. And then Pompeo then met with senators to try to sway their vote. He made the following statement. You can listen here. MIKE POMPEO: They’re considering getting a resolution on the Senate floor which we think is just poorly timed. We are on the cusp of allowing the U.S. envoy Martin Griffiths to, in December, gather the parties together; hopefully get a ceasefire in Yemen, something that we have diplomatically been striving for for months, and we think we’re right on the cusp of that. That’s the view of the administration, Secretary Mattis, and myself, that passing a resolution at this point undermines that. It would encourage the Houthis, it would encourage the Iranians. It would undermine the fragile agreement for everyone to go Sweden and have this discussion. BEN NORTON: So joining us to discuss this is Larry Wilkerson. Wilkerson is a former chief of staff for U.S. Secretary of State Colin Powell. He is currently an adjunct professor of government at the College of William and Mary, and he is a regular contributor to The Real News Network. Thanks for joining us, Larry. BEN NORTON: So, Larry, you joined us here at The Real News in November, and we actually had a very similar discussion about how you were skeptical on Pompeo’s claims that the U.S. supposedly is going to have a ceasefire in Yemen. Now, it’s been 30 days since they said they would pursue a ceasefire, and we see that Pompeo is trying to kill the U.N. Security Council resolution that was proposed–not by a U.S. enemy. It was proposed by Britain, one of the U.S.’s longtime allies. So can you respond to this news and Pompeo’s statement? 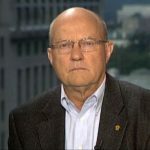 LARRY WILKERSON: That’s just an indication of how isolated the United States is becoming, and also Saudi Arabia, and its coalition partner United Arab Emirates, especially with regard to this war. I listened to both Pompeo and Mattis; at least Mattis’ statement was shorter therefore containing less lies. But Pompeo’s statement was really egregious. As you’ve just pointed out, they’ve been stalling and stalling and stalling, and promising peace talks, and promising ceasefires. The only thing that got them really energized is the fact that the Congress was about to rein in the war power in accordance with its constitutional responsibilities. But the Pentagon in particular, but State along with them, got really energized about this untoward, unprecedented attempt by the Congress of the United States to act in accordance with the United States Constitution and to tell the executive that it does not have unlimited power to wage war in joint hostilities all over the world wherever and whenever it wants to. That’s what got Mattis and Pompeo energized. They wanted to derail that effort. BEN NORTON: Could you also respond to the vote in the Senate? This is a historic vote. You mention that this legislation cites the War Powers Resolution, and it would–if this passes both the Senate and the House, this would be the first time that the Congress has used the War Powers Resolution, which is from the 1970s, to withdraw–at least to attempt to withdraw–U.S. military forces from a foreign conflict. Of course, President Trump could try to veto the legislation if it doesn’t get enough approval in the Senate and the House. But this is a pretty historic vote. Can you respond to it? LARRY WILKERSON: It Is a historic vote, and the level of the vote, of 63-37, was historic. The War Powers Resolution was passed to end the war in Vietnam, essentially, and then when Nixon vetoed it, the Congress passed it over his veto. So this is, As you said, the first real meaningful use of it in the sense that they actually are trying to stop the president’s ability to join in this conflict. The vote was a vote to get it out on the Senate floor and debate. We have been derailed by Mitch McConnell, and in the House by Paul Ryan, and Mark Thornberry, and Ed Royce and other people who are taking money in their political action committees from the military-industrial complex. And who don’t have an interest in ending this war. Probably also taking money indirectly from the Saudis, who just spent billions to propagandize this war. So this is the first time we were able to get by all the shenanigans in both the Senate and the House. Ryan just derailed H138. In the House. We’ll get that back up with a new Democratic Congress in January. So this one was the first time we had an overwhelming vote to get it out on the floor and give debate. That’s what we want. We want a debate. We want the American people to get involved and to know about what’s going on in this brutal conflict in Yemen of which their bombs are helping and aiding and abetting the killing of children and women, and so forth. Once that happens, once we get that debate, and it’s exposed to the fullest extent that it can be, I think we have a good chance to have it actually passed in the Senate. Then, of course, we have to resurrect the legislation in the House. It’ll have a different number. And then we have to pass it in the House, and then we have to have a conference, and then we have to pass it in both houses and send it to the President. He’s promised to veto it. I hope we have enough votes to, as it might be 72, 73, to override the President’s veto and finally get the Congress to rein in the president’s unlimited, at this point, war power. BEN NORTON: And then, finally, let’s go back a bit to the war in Yemen. It looks like the Trump administration’s strategy is to try to delay any U.N. Security Council vote instead of simply voting on it, or voting against it, or vetoing it, because the U.S., of course, has veto power in the Security Council. So instead of dealing with that PR disaster, it seems like the Trump administration policy is to allow Saudi Arabia and the UAE to try to retake Hodeidah. That’s the major port city. Do you think that if Saudi Arabia and the UAE successfully win that battle, then and only then is when the Trump administration will support a ceasefire in Yemen? LARRY WILKERSON: I think the Saudis are losing this war. They are losing this war disastrously. I don’t think they’re going to do any better than Nasser and the Egyptian armed forces did in the ’60s. Old timers in the Egyptian forces look at Yemen and their experience there is their Vietnam. I don’t think anyone’s going to defeat these tribal rebels. I think they’re going into the mountains. They’ll fight until the last Yemeni. I don’t think the Saudis are winning. I think they’re losing. That’s one of my concerns, besides the humanitarian disaster that it is; the cholera outbreaks, the famine, and so forth. Is that the United States is cheek and jowl with one of the most strategic morons on the face of the earth, Mohammed bin Salman. He’s ruptured his other flank with Qatar. And now he’s rupturing the other flank with this war in Yemen. He couldn’t be doing things more disastrous for the future of the Kingdom of Saudi Arabia. So I don’t think there’s going to be a war resolution in terms of a “victory” on the battlefield. The only resolution is the more billions of dollars of Saudi money forward into a dark and vast hole called Yemen. They are not going to win this conflict. 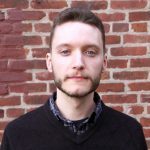 BEN NORTON: We’ll have to end our conversation there. We were speaking with Colonel Larry Wilkerson, who is the former chief of staff of U.S. Secretary of State Colin Powell, and he is currently an adjunct professor of government at the College of William and Mary. Thanks for joining us, Larry.